Over a period of 40 years, God gave Mary K. Baxter visions of hell and commissioned her to tell all to choose life. Here is an account of the place and beings of hell, contrasted with the glories of heaven. It is a reminder of the need each of us has for the miracle of salvation. 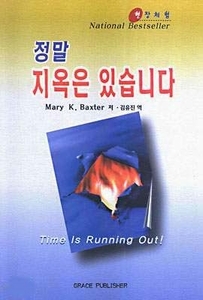 Baxter says she had a series of visions in 1976 in which Jesus appeared to her, removed her spirit from her body, and took her to view condemned souls in hell. This controversial bestseller records those visions---raising disturbing questions about the afterlife and reminding you of the very real need for God's salvation!